The media’s role – or lack of – in the recent Gaza conflict is up for debate at the Club tonight. We start at 7pm GMT / 11am PST Thurs 5 Feb. 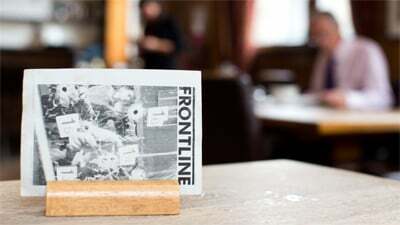 If you can’t make it to the club in person, do please tune in to the Frontline Club live channel. 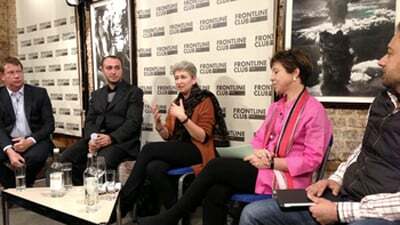 Taking part will be Jonathan Miller, Foreign Affairs Correspondent for Channel 4 News, Alan Fisher, who is Al-Jazeera’s correspondent on the Israeli-Gaza border, Harriet Sherwood, Head of international news at Guardian News and Media, Ruthie Blum Leibowitz, features editor and columnist at the Jerusalem Post and Lior Ben Dor an Israeli affairs specialist based in London. Roy Greenslade, a leading commentator and columnist on the media and former editor of The Daily Mirror will chair the discussion.